In it's 27th year, with no show ever the same, this is one of Salem's premier historical attractions. The 2019 season of Cry Innocent will run seven days per week June 16-August 25th and October 1-November 3. September shows are on Saturdays and Sundays only. All are at the Old Town Hall, 32 Derby Square, Salem, MA. June-September tickets will be available to the public online in May. October/November tickets will be available online in August. One day only, Sunday, May 26th, Memorial Day Weekend. 5-6PM. Old Town Hall, Salem. A father's odyssey. A mother's secret. A son's story. Wilber's War chronicles the story of two ordinary Americans, Wilber and Norma Bradt, during an extraordinary time, World War II. It offers fresh insight---deeply personal---into the historic conflict as it was fought by the U.S. Army in the Pacific Theater and by a family on the home front. It is an epic tale of patriotic and familial duty, heroism, love, infidelity and the tragedy of suicide. It’s 1830. Fabulously wealthy Joseph White is found dead in his bed at his own party. You are party-guests turned Committee of Vigilence for this historical, hysterical who-dunnit. Coming Summer, 2019 to the gorgeous Heard Mansion on the Ipswich Museum property. Tickets go on sale May 1st. Jeremiah Lee Mansion Cast, Goodnight, Captain White. Spring 2016. 82-year old Captain Joseph White lays murdered in his own bed. All night at his lavish party, guests have been machinating a murder of the crusty old miser, overheard by you, the Committee of Vigilance. Senator Daniel Webster has been ridiculously undercover and will guide the audience to the gleeful end of the evening. Written by Mark Stevick. Directed by M. Lynda Robinson. Salem is known world over for the tragedy of 1692. But Salem is rich with other stories, innovations, adventures. 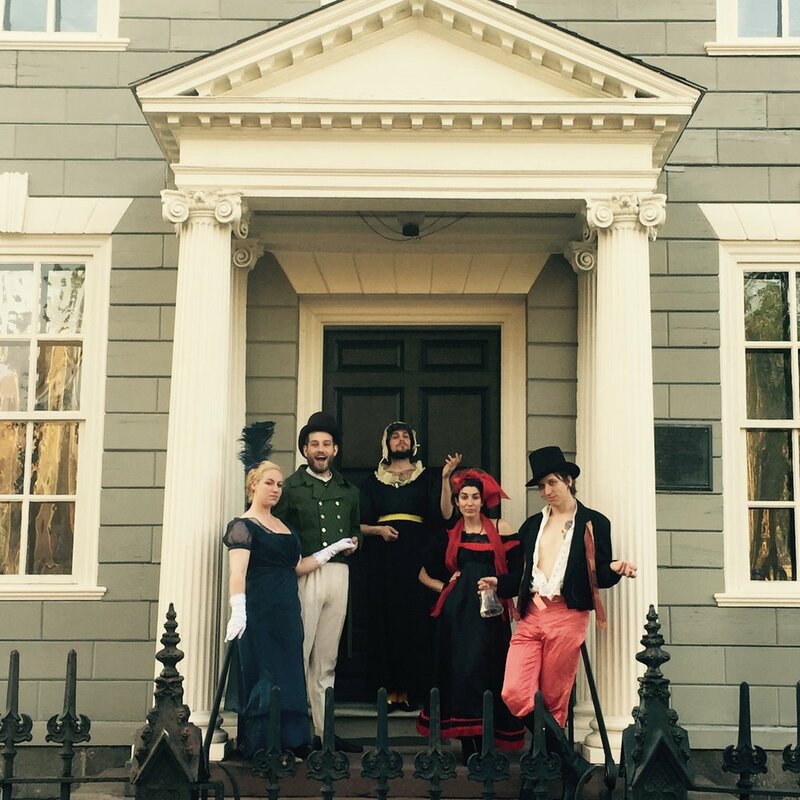 The Spirit of Salem gets at the heart of what makes Salem the artistic and entrepreneurial place it is. If you look around the city today and see a cultural and community life you admire, the film will introduce you to the characters who helped instill those values into the city, spirits who still walk our streets, if you have the eyes to see them! Famous Salem artists are hard at work in the Eternal City, a new home promising artistic and personal freedom. But can such ideals withstand the jealousies Salem’s children carry with them? Custom-written for The Spice Festival at Pioneer Village, women's history month events, fundraisers for clinics and medical classrooms. Travail takes the audience on a tour of medical practice in New England over the last 300 years, specifically the history of women's heath, obstetrical care and birth customs. It follows the struggle of a traditional midwife, whom we first meet in the 18th century, as she endeavors to practice her vocation in the increasingly flooded field of male, professionalized, European-trained doctors. The play takes us through the peaks and valleys of a midwive's status, through the 19th and 20th centuries, into a contemporary birthing center. History Alive, Inc. selectively collaborates with other companies of similar missions. An Interactive Travelogue with Salem’s 19th century culture makers. It's 1830. Wealthy miser Joseph White has been murdered and it's up to YOU to find the killer. The infamous Witch City has another confession to make. An intimate 3-D film, which immerses the audience in the dangerous realities of life in Salem Village at the end of the 17th Century and dramatically reveals the odd coincidence of forces, external and internal, which set in motion the tragedy of the witch trials. 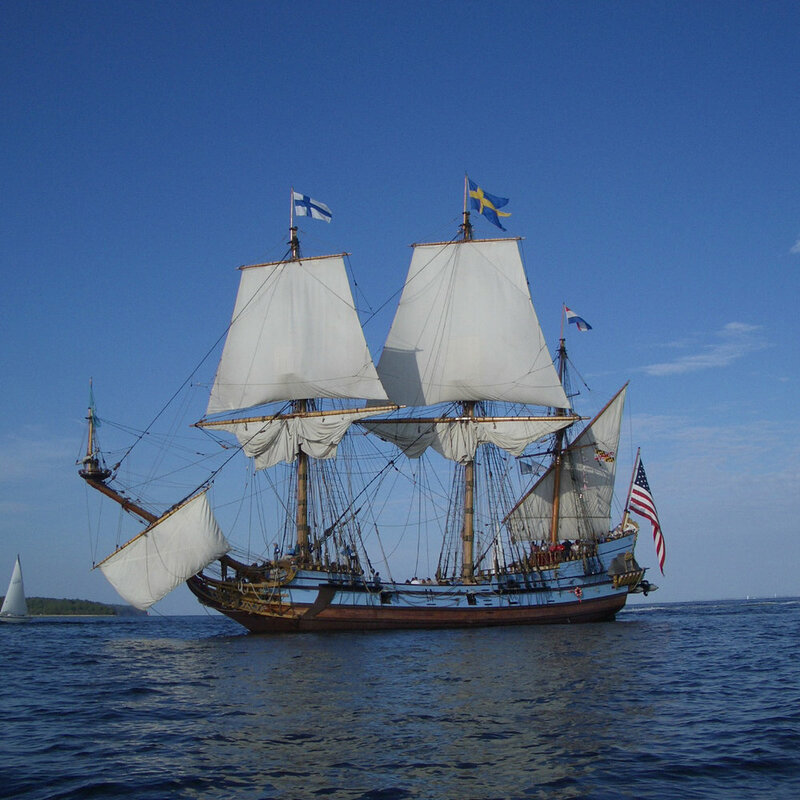 The True 1692 was conceptualized by and co-produced with CinemaSalem. At Salem’s Old Town Hall, 32 Derby Square, Salem, MA. An unforgettable evening of dance and Christmas merriment from the Era of Dickens. A collaboration with the Commonwealth Vintage Dancers. An unnerving nighttime immersion into the world of the infamous “afflicted girls” at America’s first living history museum, Pioneer Village. Onboard the Kalmar Nyckel. A sunset sail around Salem Harbor accompanied by madrigals and the writings of Anne Bradstreet, John Winthrop and Thomas Dudley. A collaboration with Salem Preservation, Inc.
Would you join the witch-hunt to protect yourself? “Witch | Hunters” gathered clues from the poetry and ritual of an herbalist, a minister, an afflicted girl with spectral sight and a witch-finder general. In order to exit the damnation of the village, the hunters had to gather each of the four elements—earth, air, fire and water. If able to restore the balance which had been upset by the devil’s intrusion into Salem they might be allowed an escape.